Sara Jane Bailes is a theatre-maker, writer and Reader in Theatre and Performance Studies at the University of Sussex, UK. She publishes on experimental theatre and performance and is interested in ideology and compositional practices. Her monograph, Performance Theatre and the Poetics of Failure, was published in 2010. Nicholas Till is Professor of Opera and Music Theatre at the University of Sussex, UK. He works as a historian, theorist and maker of opera and music theatre. 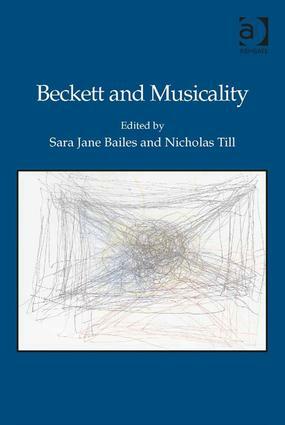 His publications include Mozart and the Enlightenment (1992) and The Cambridge Companion to Opera Studies (2012), and many studies of contemporary experimental practices.